DVLOP presets are divided into a few powerful components. This modular approach will allow our presets to be either (1) a simple and efficient tool built for speed, or (2) a more advanced engine to create completely new styles. We will detail both paths in this document. 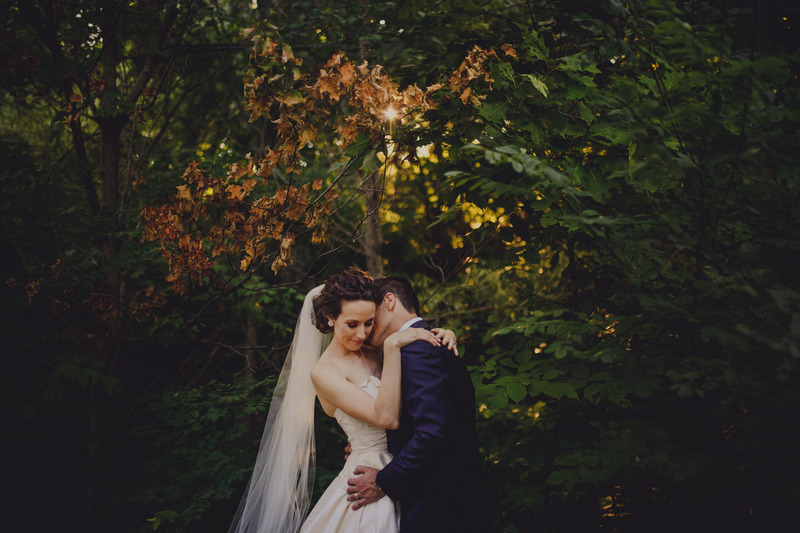 We will start with this image by Gabe McClintock. 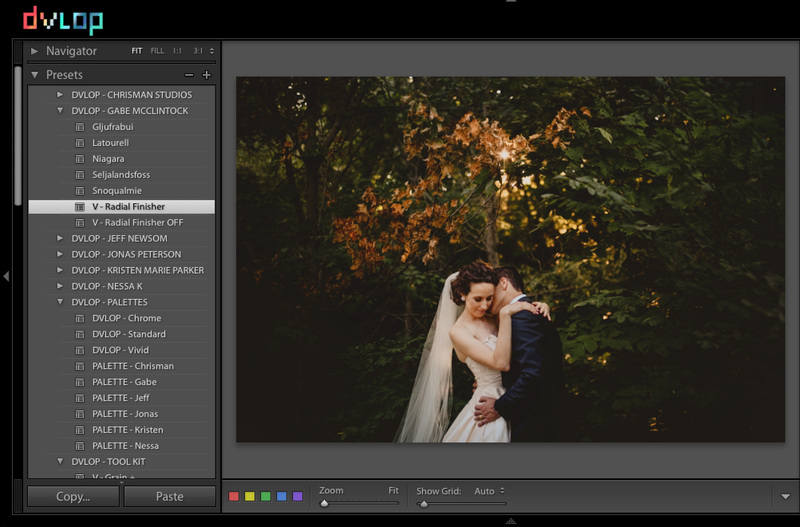 Simply click on the preset you would like to apply. We will select Gljufrabui for this demo. Often times we will need to make a simple exposure adjustment in the Basic panel. I feel this image needs a slight boost of +0.25 . 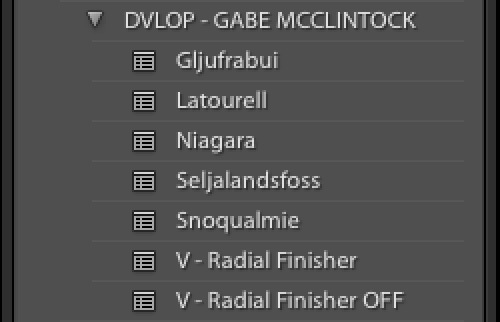 We will also try out Gabe’s Radial Finisher tool to add another level of depth and artistic polish. Now, we don’t have to stop there. 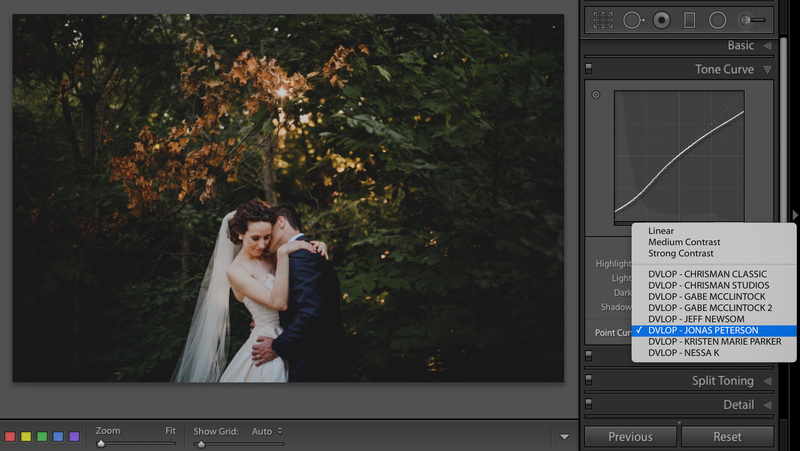 It is quite simple to use DVLOP’s modular components to create our very own custom preset. 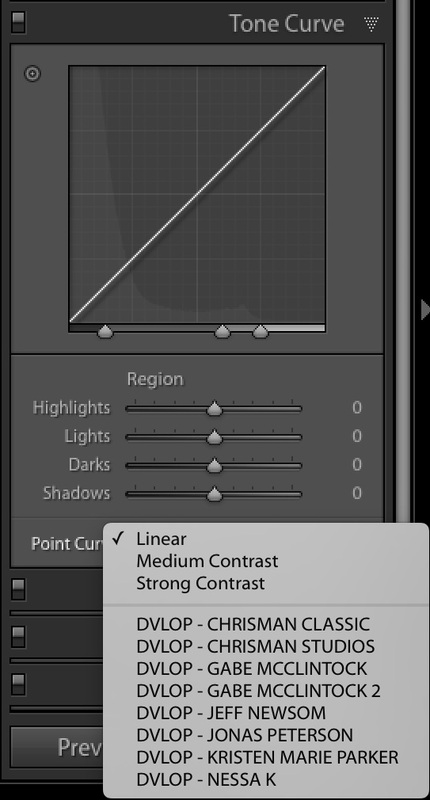 Let us move over to the the Tone Curve panel and mix in a base curve by Jonas Peterson. 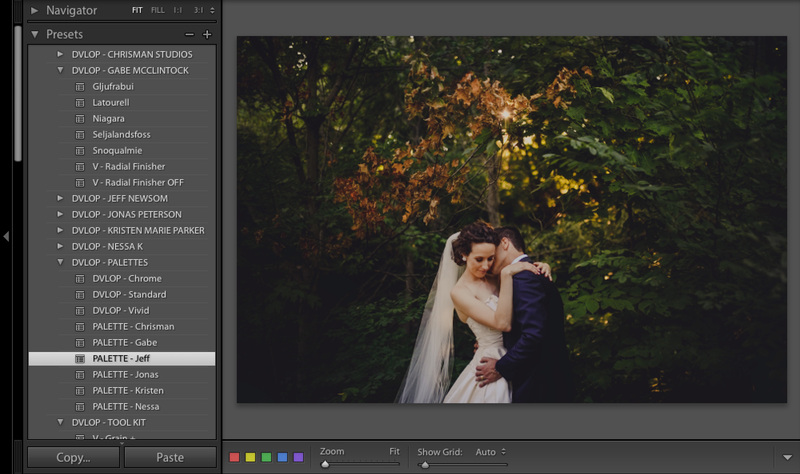 At this point we can modify the complete color palette. 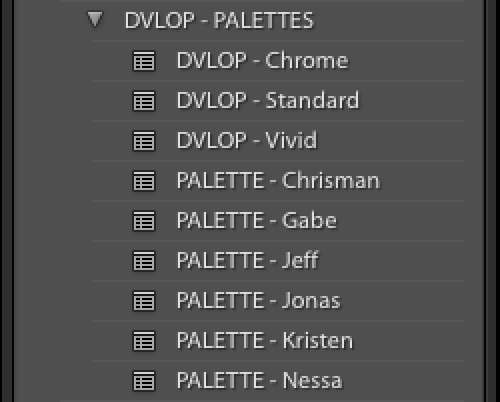 Under the Palette presets on the left hand side we will select Jeff Newsom’s palette. 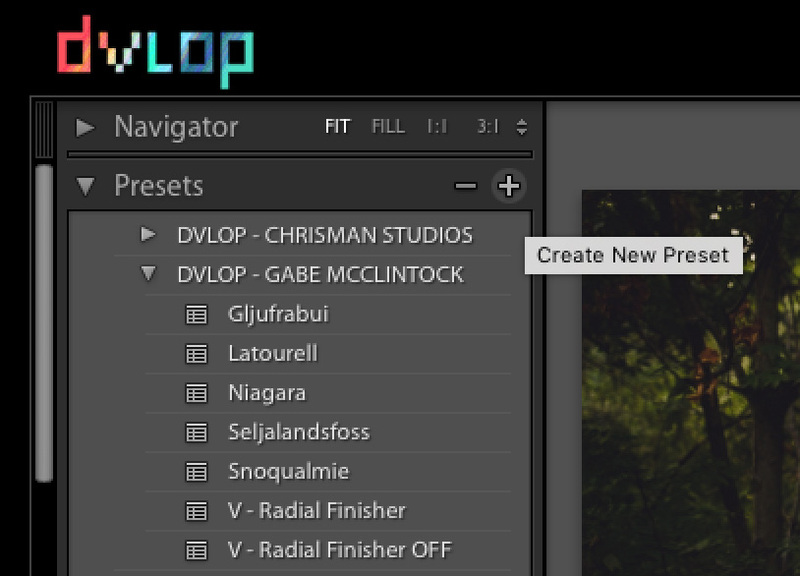 Another level of customization can be achieved with the DVLOP Tool Kit. We will apply Grain + to complete the look. Let's take a look at the before and after. 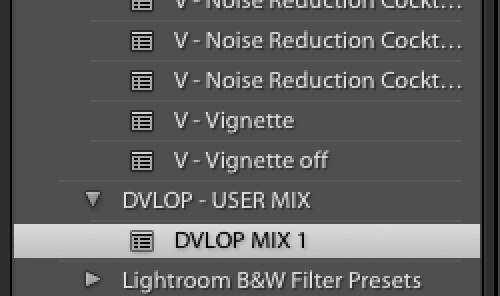 Don’t forget to save the new mix in the DVLOP User Mix folder! 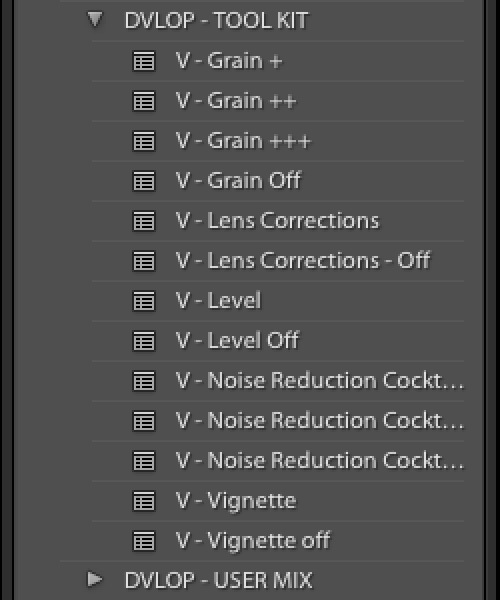 By clicking on the plus symbol above the presets, we can then choose which components we would like to save. 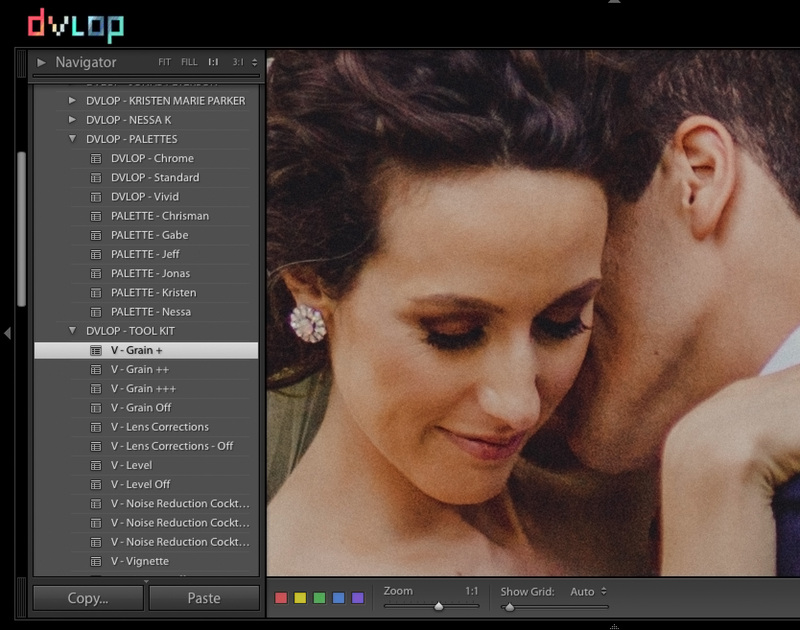 To make this mix compatible with more DVLOP goodness, select only the boxes pictured here. 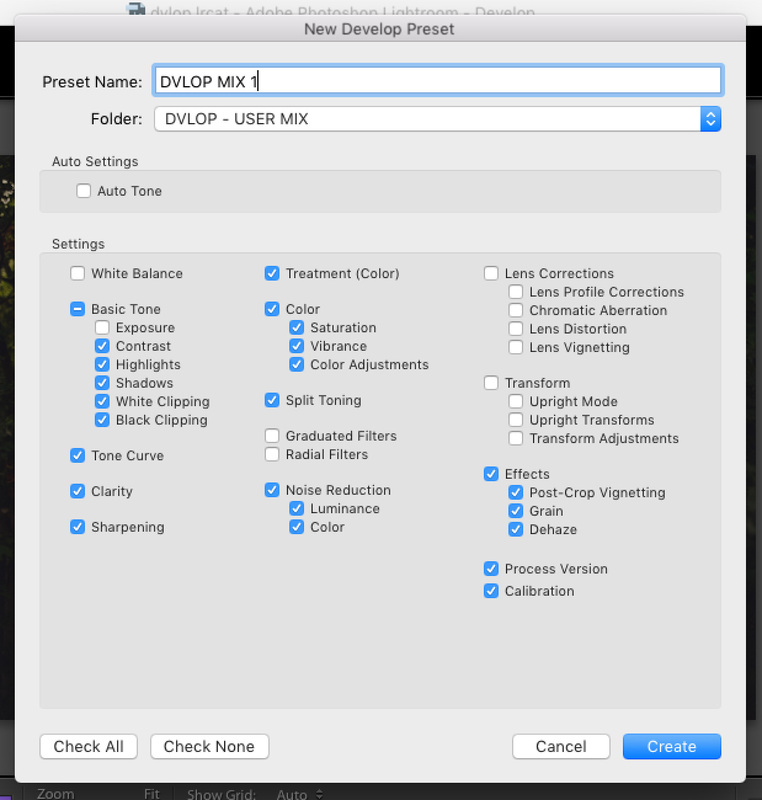 Be sure to choose a name and save it to the User Mix folder. Your new mix is ready to make magic.